Canadian Insurance Dividend Stocks - Life Insurance or Casualty Insurance? The Canadian insurance sector has been interesting to watch during these past years with our low-interest rate climate. Not all insurance stocks have benefited from the market growth but is it time to get back in and benefit from the rising interest rates? Some of them offer a juicy dividend to wait. Being that many are cash cows with relatively low debt, I would consider the dividend safe and with interest rate increases coming our way, we should see some higher profits from the insurance industry in due time. Overall, I have found the industry to be disappointing for growth but it could be a proxy to income at these levels. Below is a list of insurance stocks for the Canadian stock market for your consideration. Manulife Financial Corporation is a leading international financial services company based out of Canada. The company provides financial advice, insurance, as well as wealth and asset management solutions for individuals, groups, and institutions. As of March 2018, Manulife had $1.1 trillion assets under management making it one of the largest life insurance companies in the world. 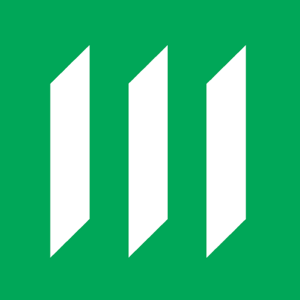 Manulife offers unique product offerings for different markets it serves. More than 80% of its assets are fixed income, of which 98% is investment grade. The company provides a suite of financial protection and wealth management solutions to meet the current and future needs of individual and group customers. Its diverse businesses provide ample cash flow to sustain operations without the need of external funds. The company also owns reputed brands like Manulife and John Hancock in the USA. A strong business model and financial stability have helped the company get strong credit ratings from all major rating agencies like Fitch, Moody’s and S&P. Manulife serves 26 million customers in the USA, Canada, and Asia. With more than 125 years of experience, the company has developed strong customer relations and a deep understanding of their financial needs. Clients look to Manulife for reliable, trustworthy and forward-thinking solutions. Customer relationships in the financial services tend to have a low turnover given the importance of trust. Given Manulife’s rich experience and long history, the company has developed consumers which are highly sticky. Manulife is adapting to growing digitization trends and it became the first insurer in Canada to underwrite using artificial intelligence. A strong network of leading advisors, a diverse range of financial protection and wealth management solutions, wide geographic reach, a diversified distribution platform, and prudent risk management are Manulife’s key competitive advantages. Manulife has delivered annual dividend increases averaging 11% p.a. since 2014. The company last raised its dividend payout by more than 7%. Manulife has a target to achieve 10%-12% EPS growth and a 30%-40% payout ratio over the medium term, which should help the company sustain mid to high single digit dividend growth rate in the future. Sun Life Financial is a leading international financial services organization. The company sells insurance, wealth and asset management solutions, and customized health programs to millions of consumers worldwide. Other than Canada (35% of 2017 net income), Sun Life has operations in 26 countries, with leading geographies being USA (19%), Asia (12%), the UK (4%). It is a leader in US group benefits and international HNI solutions. The company operates through a large network of 4,000 advisors located in more than 1,200 communities across Canada. Nearly 70% of these advisors are licensed to sell both insurance and wealth solutions, which helps deliver holistic financial planning advice to clients. Sun Life has a huge customer base consisting of individuals, large and small businesses, and public and private sector companies. Sun Life has been around for the last 150 years and has developed a deep understanding of peoples’ financial needs. 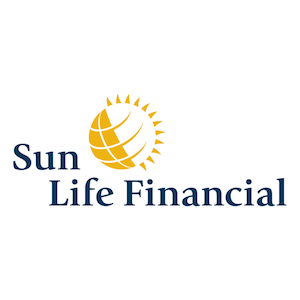 The people’s faith in Sun Life brand can be gauged by the fact that the company has been voted as the most trusted brand for 9 years in a row by Canadians, according to Reader’s Digest. As a trusted market leader offering a full suite of solutions, the company is in a good position to benefit from a rising aging population and the growing financial needs of customers. High financial ratings, diversified businesses, a wide geographic presence, and a leading industry position differentiate Sun Life from its contemporaries. A strong customer focus and broad product portfolio also provide a wide moat to its businesses. SunLife has a payout ratio of 42%. The company last raised its dividend by 8% in 2017. Over the past five years, the company has achieved a total shareholder return of 19% p.a compounded annually. Sun Life is targeting 8%-10% EPS growth over the medium term and a payout ratio of 40%-50% , which should enable the company to hike its dividends in the mid to high single digit range. Great-West Life is a leading international financial services company dealing in life and health insurance, investment and retirement services, and reinsurance business. It is one of the leading providers of employer-sponsored retirement savings plans in the US. 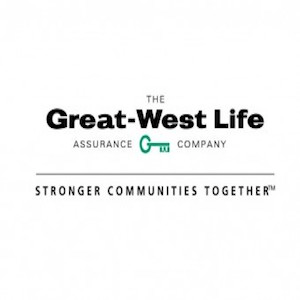 Great-West Life is a leading provider of individual life insurance with nearly three million individual life insurance policies in force. The company manages more than 30 million customer relationships worldwide. Great-West Life has operations in Canada (50% of 2017 net earnings), the US (-3%) and Europe (53%) and operates through its subsidiaries, Great-West Life, London Life, Canada Life, Irish Life, Great-West Financial and Putnam Investments. The companies have over $1.3 trillion in total assets as of December 2017 and are members of the Power Financial Corporation group of companies. In Canada, Great-West Life offers a broad portfolio of financial and benefit plan solutions for individuals, families, businesses, and organizations, through a network of multi-channel distribution network consisting of brokers, advisors, and agencies. The Canadian business operates through two business units – Individual customer and Group customer. With a history dating back 125 years, Great-West Life has nurtured deep relationships with its clients and distributors. As such the company is well positioned to handle diverse and changing customer needs of an aging boomer generation. The company is investing in newer technologies to help customers connect better and meet the evolving needs of diverse customer segments. Focus on digital initiatives, strong capital position, and financial flexibility are the company’s key advantages. A strong and diversified business model, as well as well developed enterprise risk management capabilities, has helped Great West score industry leading credit ratings. Great-West Life has a high dividend yield of 4% and a payout ratio of 68%. The company last raised its dividend by 6%. Given its ability to generate ample free cash flows and maintain a decent growth rate, the company should increase its dividend payout at the same pace in the future as well. Founded in 1892, Industrial Alliance (iA) Financial Group is one of Canada’s largest insurance and wealth management companies. It is the leader in independent insurance brokerage distribution in Canada and is a significant player in the life insurance segment in the US. 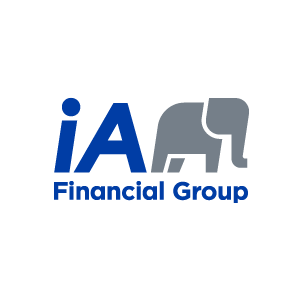 The iA Financial Group has a comprehensive product portfolio ranging from life and health insurance products, savings and retirement plans to mutual and segregated funds, securities, auto and home insurance, mortgages and car loans. The Industrial Alliance Financial group operates through four main business divisions – Individual insurance and Individual wealth management, Group insurance, and Group savings and retirement. Industrial Alliance derives 97% of its earnings from Canada and 3% from the US. It reaches its clients through an extensive Canada-wide multi-channel distribution network consisting of more than 25,000 representatives. The company manages over $170 billion in assets and has a diversified invested asset mix consisting of bonds (70%), mortgages (10%), stocks (10%), and real estate, policy loans, cash and other short-term investments (~10%). Industrial Alliance’ assets have grown at 13% CAGR over the last decade. Owing to its financial stability, Industrial Alliance has received high credit ratings and currently has more than four million clients. With a rich experience spanning over a century, the company helps clients make informed decisions regarding insurance and finances at the right stage of their lives. A huge distribution network, an extensive geographic presence and a wide range of financial products are Industrial Alliance’ key strengths. The company has been expanding organically as well as through acquisitions into related businesses and geographies. Its latest acquisitions PPI Management and ABEX tuck-in have strengthened Industrial Alliance’s position as a leading Canadian insurance and distribution marketing firm. HollisWealth integration increased the company’s assets by more than 30%. Industrial Alliance recently announced a 9% increase in its dividend. The company has guided EPS to grow by 11% in 2018 and by 10% annually in 2019, which should comfortably support its dividend growth in the high single-digit rate going forward. 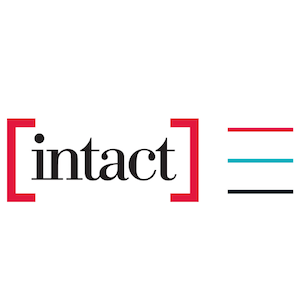 Intact Financial Corporation is the largest property and casualty insurance provider in Canada and a leading specialty insurance provider in North America. Intact Financial has a history dating back to 1809. Today it operates through its many well-known brands like Intact Insurance, Belairdirect, BrokerLink, and OneBeacon. The company has a wide client base consisting of five million individuals, business, public sector, and institutional clients. Its multi-channel distribution strategy helps it reach new customers and ensure growth in its top markets. Intact Financial has developed a high level of expertise and a thorough understanding of the financial business. Its strong balance sheet enables the company to raise capital at low costs. The company uses diversification in both insurance and investment exposures to reduce its overall business risk. It also continuously invests in technology, risk management framework and its people to stay ahead of its competitors. With a disciplined approach, scale advantage, and in-house claims expertise are the key competitive strengths of Intact Financial. The company maintains a high-quality investment portfolio with 70% of the portfolio consisting of fixed income securities. 92% of these fixed-income securities are rated ‘A-’ or better. The company stands in a good position to benefit from mid-single-digit growth of P&C industry in 2018. Intact Financial has increased its dividend each year since its IPO, last raising it by more than 9%. The company is expecting 2018 dividends to be around $2.80, translating into a 9-year CAGR of more than 9%. If you are bullish with India, Fairfax could be an option. Otherwise, you could choose to invest in the parent companies of Great-West Life.